On October 5, the Government of Canada announced the award of a contract to Canam-Bridges to manufacture 184 four-season lighted navigation buoys to be deployed in the St. Lawrence River shipping channel, between Québec and Montréal. The contract includes options to acquire up to 204 additional buoys. These new modernized buoys are part of the Coast Guard’s network of over 17,000 aids to navigation located across the country, such as lighthouses and beacons, helping to maintain one of the safest navigation systems in the world. 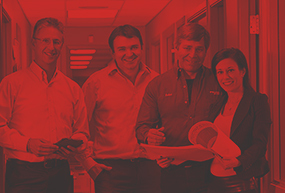 They will be manufactured in the coming months at Canam Group’s plants in Laval and Quebec City. 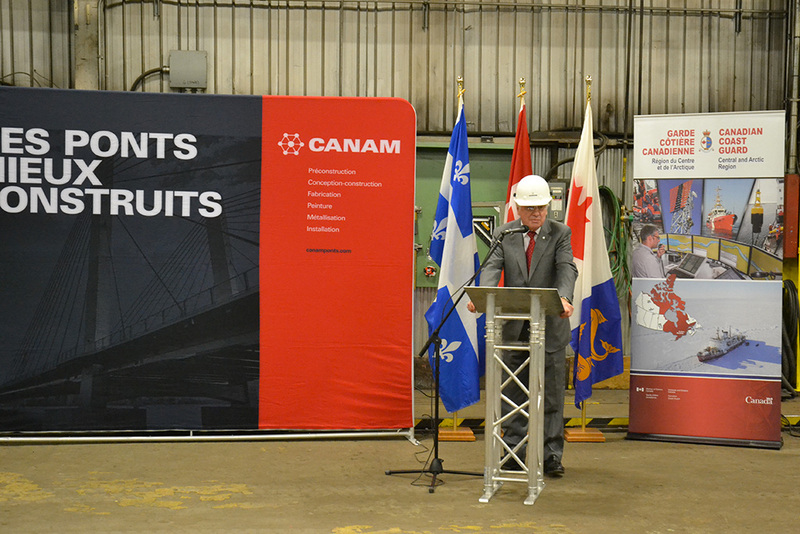 The Honourable Marc Garneau, Minister of Transport, made the announcement at Canam Group’s Laval plant on behalf of his colleague, the Honourable Jonathan Wilkinson, Minister of Fisheries, Oceans and the Canadian Coast Guard, and with representatives from the Canadian Coast Guard (CCG). 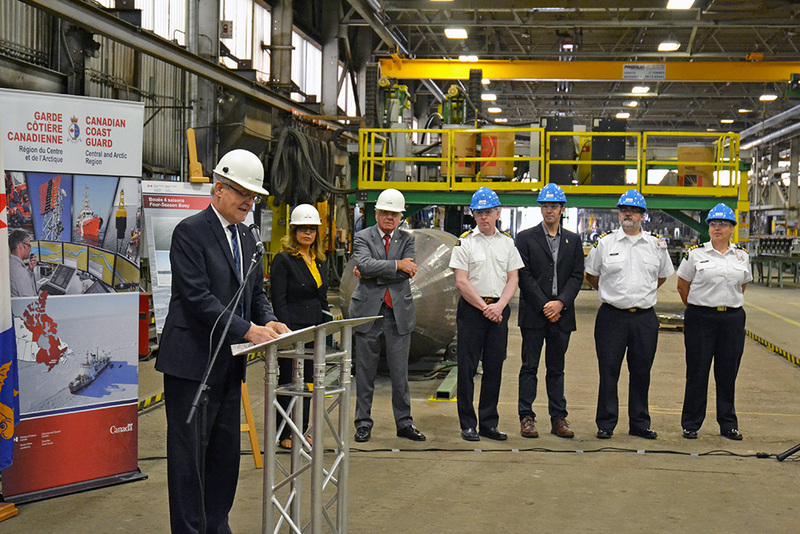 “This investment in new and modern equipment for the Canadian Coast Guard is an example of our government’s commitment to ensuring the safe transport of people and goods on our waterways while providing opportunities for businesses in Quebec.” said the Honourable Marc Garneau, Minister of Transport Canada. 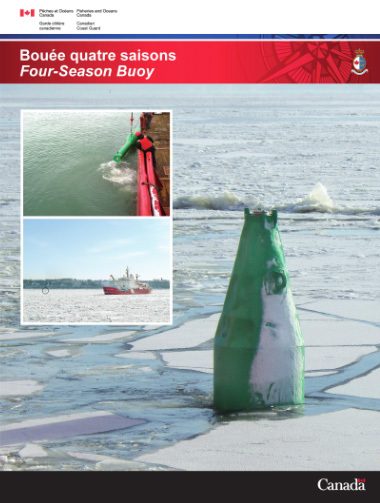 The four-season buoys are unique in the world, designed using Canadian Coast Guard expertise to withstand the severe ice and tidal conditions found in the St. Lawrence shipping channel. They will remain in the water year-round and only require maintenance every two to four years. The four-season buoys will replace the seasonal navigation buoys operated by the Coast Guard that are currently deployed each summer and winter. The reduction in servicing and maintenance required for the new buoys will allow the Coast Guard to achieve operational efficiencies. From left to right, the Honourable Marc Garneau, Minister of Transport; Eva Nassif, Member of Parliament for Vimy; Marcel Dutil, Chairman of the Board of Canam Group and President and Chief Operating Officer of Canam Bridges Canada Inc.; Sylvain Vézina, Program Regional Director, Coast Guard; Pierre-Luc Delage, Hydraulic Engineer, Coast Guard; Marc Delisle, Operational Business Superintendent, Coast Guard; and Lisa Earle, Regional Operations Centre Superintendent, Coast Guard. Mr. Dutil recalled that Canam’s reputation has been built by meeting our commitments to deliver top quality products on time. The new four-season buoys will remain in the water year-round and only require maintenance every two to four years. They will replace the seasonal navigation buoys operated by the Coast Guard that are currently deployed each summer and winter.